Cuban’s business career started early: when he was twelve he sold garbage bags door-to-door to buy a pair of basketball shoes. Those shoes didn’t get him to the Mavericks, but I think he’s okay with where he ended up. Unfortunately for him, Cuban told me that his previous mastery of disco didn’t help him with his stint on Dancing with the Stars; he was eliminated in the fifth week. When I asked Cuban about his music interests, he directed me to his AXS TV, a network that focuses on live music. Surprisingly, when I asked him about his favorite music, he named Skrillex, 12th Planet, and Swedish House Mafia. 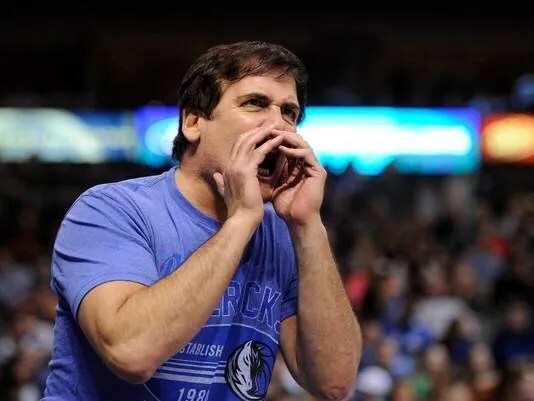 In the end, Mark Cuban is more than a businessman, an investor, the owner of the Mavericks and a multi-billionaire. He’s a dubstep-listening, garbage-bag-selling, bartending disco dance instructor. I guess he’s done okay for himself. This entry was posted in Sports and tagged interview, job, Mark, mark cuban, mavericks, mavericks owner, mavs, mavs owner, millionaire, money, music, nba, nba owner, owner, shark, shark tank, sharktank, stars, success, tank, the, with by Mac McCann. Bookmark the permalink.